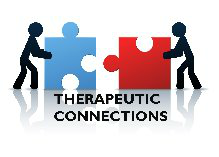 Therapeutic Connections provides mental health outpatient services in the home and community to both youth and adults diagnosed with a mental health diagnosis including but not limited to Attention Deficit Hyperactive Disorder (ADHD), Attention Deficit Disorder (ADD) Oppositional Defiant Disorder (ODD) and other specified trauma disorders. Our adults participants MUST have a ICD -10 priority population including but not limited to Major Depressive Disorder, Schizophrenia, Bi-Polar Disorder. All activities are in alignment with the treatment goals established by the referring licensed therapist and the persons served.